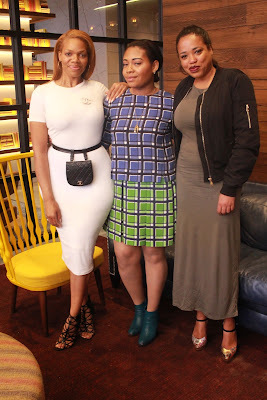 Brushing off the drama at The Pink Cup, Hustle & Soul's Candice Roach taps Urban Fashion Sense to style her for an employee dinner at Ai Fiori NYC. 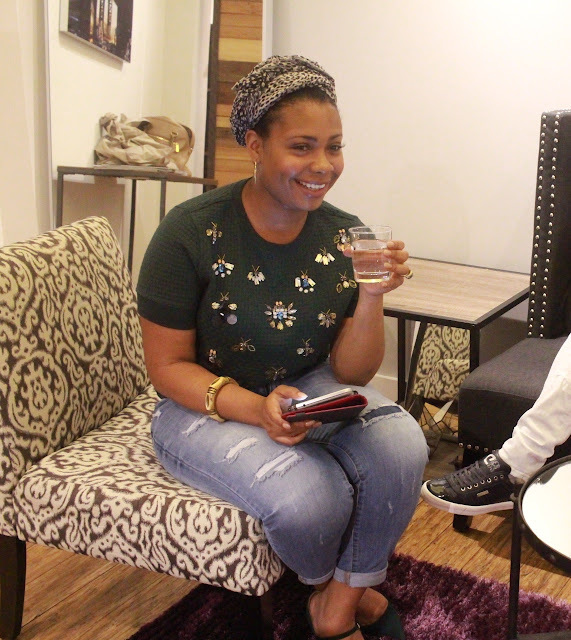 In episode 2 of WEtv Hustle & Soul: Five Stars Of Shade, The Pink Tea Cups' General Manager Ana Lavender thought it would be cute to leave Candice out of the dinner invite. So you know she couldn't just go looking like yesterday's news. URBAN FASHION SENSE IMAGE CONSULTING to style her for the special occasion. Of course we had our girl's back! 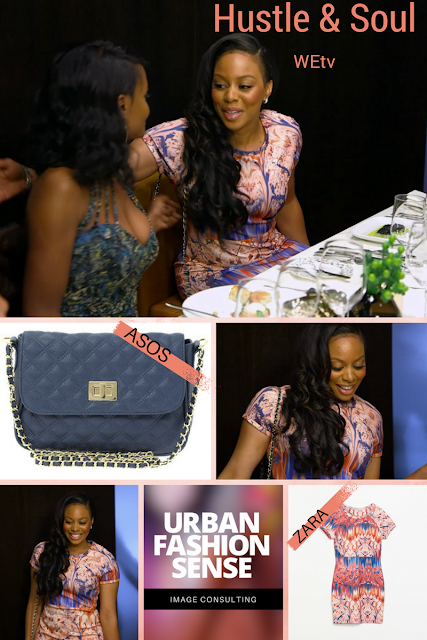 Once we heard the shady mess, Urban Fashion Sense's Head Stylist Lu White & Image Consultant/Personal Shopper Imani Clark, quickly pulled a Zara Floral Bodycon Dress & ASOS Quilted Lock Cross Body Bag for Candice to wear. Girl! Candice rocked that dress! Once hair and make-up were done she was ready to serve them ALL dessert! Okay, you know how we do - can't tell you everything but you can watch the full episode HERE! Learn more about URBAN FASHION SENSE Stylist LU WHITE below. ... Including being a native New Yorker, her Caribbean and multicultural background, along with a 10+ plus year career in moderate to luxury retail, studying Fashion Design and Fashion Marketing/Merchandising at the famed Fashion Institute of Technology in NYC. Lu White runs her personal lifestyle blog which touches on personal style tips for Moms or Fashionistas on a budget. She currently lives in Brooklyn with her Fiancé and 3 sons. "Working with Reality Star beauty Candice Roach for WEtv's latest show Hustle and Soul has been nothing short of exciting! I love being able to get to know my clients and style based on their personalities.